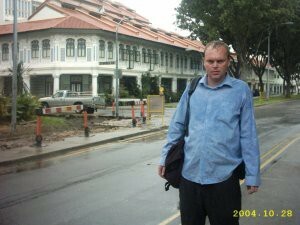 Singapore and drinks in Raffles hotel. I walked along the river bank and saw these junkets. 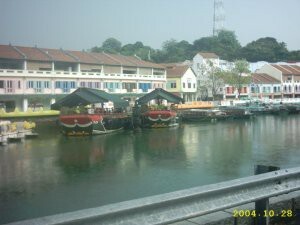 I find Singapore to be very clean and well run. 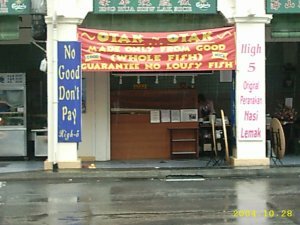 It was certainly the safest place I visited while travelling. 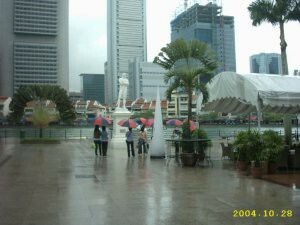 A statue of Raffles, which says he came upon a small fishing village, and changed the course of its destiny forever. Me standing outside a government building. The guidebook had 3 walking tours, which Frank and I did. 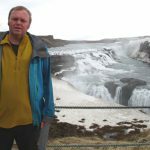 I wore my go anywhere Rohan shirt, it was warm and soaking all day. 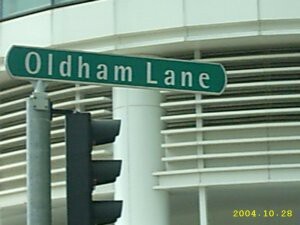 I was born in Oldham in Manchester, so when I saw this sign, I took a picture of it. 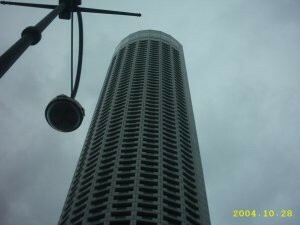 The Swissotel. 70 stories high. Awesome. 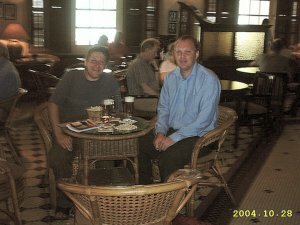 Frank and I in Raffles hotel, where there are peanuts on the floor. 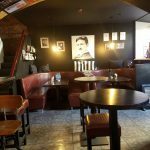 Whilst there, the Norwegian king and queen came into the bar with an entourage of 40 people. We liked it that much, that we had 4 pints. 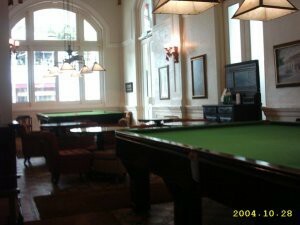 The original billiard room in Raffles hotel. Its said that a tiger was shot underneath the billiard table. In reality, the tiger was underneath the floorboards. 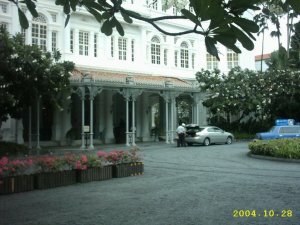 The entrance to Raffles hotel. They actually had a guy in traditional dress greeting guests. 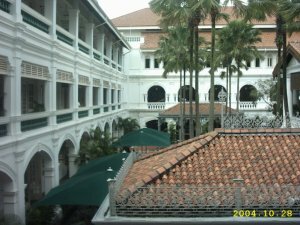 The forecourt inside Raffles hotel. 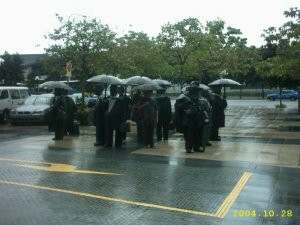 A sculpture of people with umbrellas. If you look closely, you can see that Frank is in the picture amongst them.